BCFW founder, Althea Blackford articulated her vision to a crowd of community business owners and members of the press . Fashion Gxd Fashionista " Tinita Fuller "
What do you dolls think of our Fashion Gxd Fashionista ? Fashion Gxd Fashionista "K'la Noel Lawson "
And where back .....Our Fashion Gxd Fashionista K'la Noel Lawson is from New Haven, CT. K'la would express her style as colorful and free spirit just like her amazing personality. She is a fashion chameleon similar to her dynamic personality . K'la Favorite celebrity fashion icon would be Solange K'la admires Solagane's versatility from her hair down to her shoes. For Solange It's never a dull moment when she steps out in front of paparazzi and You can defiantly can say the say the same about this rising Fashionista ... K'la we Solute you ..
What do you guys think of our Fashion Gxd of the day??? Fashion Gxd Fashionista "Naveah Paris "
Today our Fashion Gxd Fashionista a small Pocket of Fabulousness is Naveah Paris From The Garden State New Jersey .Naveah;'s fashion inspirations definitely comes from her favorite movies and shows! Her current favorite fashion trend is floral and sparkles. Naveah's celebrity style inspiration at the moment is Angela Simmons! Naveah is a Fashion Gxd is because her style is my own and is perfect expression of her . Follow Neavah's fashion on Instagram at: @my.style.k! Fashion Gxd Fashionista " Kingsley "
Our Instagram , Insta Style Fashionisto is a special treat Kingsley and he's 2 years old. Kingsley and his mother Lindsey live in the UK on the north west coast of the country. Kingsley fashion is heavily inspired by hip hop culture and that whole urban/street style. I'm pretty sure King will be a sneaker head when he's older as told by his mother he loves nothing more than putting on a fresh pair of kicks and has quite an enviable collection now which includes several pairs of Jordan's, Timbs, Jeremy Scott Wings, Supercolours etc. 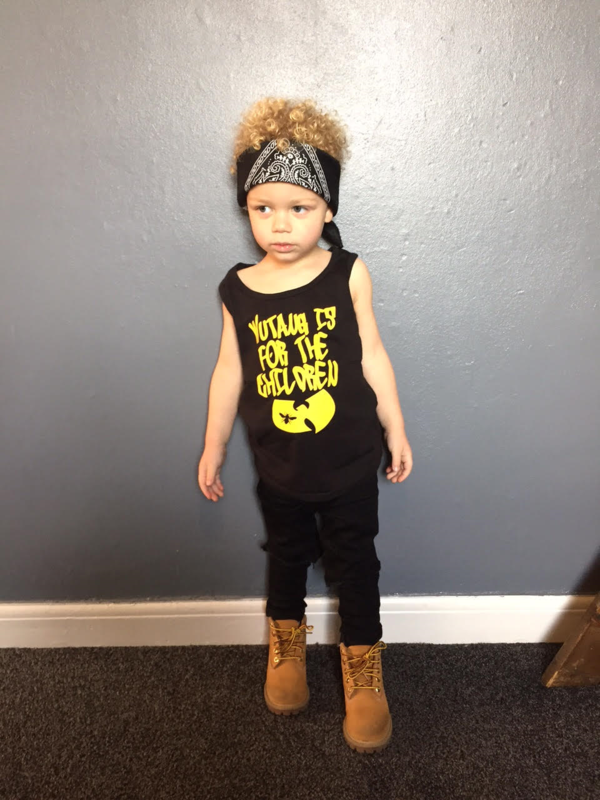 As you can see from the pics, his mother Lindsey , likes nothing more than taking a Hip Hop lyric and getting it printed up on a tee or ripping up some old jeans. They love having fun with fashion and Instagram is a big influence, they buy clothing from a lot of the small businesses on there and enjoy seeing what the other IG kiddies are rocking. We at Fashion Gxd Magazine absolutely adore Kingsley and Lindsey . Fashion Gxd Fashionista "Kamire Funn"
Fashion Gxd Fashionista " Romanian "
Fashion Gxd Fashionista " Dana Cash "
Our Fashion Gxd , InstaFashionista is Dana Cash from NYC. her fashion timelessly is inspired by her grandmother, a seamstress for over 35 years. Fashion has always been a way for her to expresses her ideas, meanwhile captivate the looks and minds of others. Every time she walks the NYC streets the fashion she see's is evolving and recycling, styling all her looks she thinks of is as an art project everyday. Dana Cash favorite fashion trends today are all recycling from the 90’s. Anything denim is her favorite , the versatility of denim skirts, shirts and jeans is endless. Doc Martens have finally made a comeback, any skater dress she wears needs her doc martens. Every girl needs a pair of mules, specifically a heel mule is essential for any night she states . The celebrity who inspires her fashion is Solange Knowles. From bold prints to captivating colors, Solange is never scared to take risks. she admires her fashion because she is always trying something different from suits to bold printed dresses. Her fashion and hair always keeps Dana Cash intrigued. what makes Dana Cash “Fashion GXD” is her ability to take risks with fashion and still produce stylish results. Also, she has used her growing fashion platform to highlight a prominent issue is society, domestic violence. her platform has allowed her to open the eyes of my fans and supporters. Fashion is multidimensional and everything from my styling, creating looks and social activism is everything that makes Dana cash a FASHION GXD. What do you doll thinks of our Fashionista? Fashion Gxd Fashionista " Brinae Chanel"
Our Insta Fashion. Fashion Gxd Fashionista is Brinae Chanel As a natural Fashion Gxd Brinae Chanel Doesn't Really Have Anything That Inspires her Fashion. It's Kind Of Like A Gift. Maybe That's Why her Style Is Random & Undefined. Brinae Chanel Favorite Fashion Trend Would Probably Be The Whole Retro 90's Look And The Futuristic Chic And Modern Look. Brinae Chanel Love's The Style Of Rihanna Since She Is So Versatile & The Style Of Kylie Jenner Since Her Style Is So Fresh And Chic. What Makes Briane Chanel A fashion Gxd Is her Versatility . The Way she Dresses Is So Peculiar And Undefined Which Makes her Stand Out . She Can Go From Something That Looks Clean And Chic To Like A Hippie Retro Kind Of Appeal , Back In The 90's ,To Urban , A Grunge Look, And Then Like A Girly Girl But Bad*** Dress The Next Day. That's What Makes her So Special. Brianae Chanel's Motto Is "Everyday You Go Out Dress Like You're Walking A Runway". She Live Up To That Because She Like's When People Stop And Stare And Compliment The Way She Dress Because They've Never Seen Someone As Unique As she is . She states "It Feels Good To Be That Person People Look Up To . It Feels Good To Set Trends. . . .And It Feels Good Because It's Me Being Me" . . . .
What do You Dolls think Of our versatile Fashionsta?? Today's InstaStle, Fashion Gxd Fashionista I sJacqueline Popovic Founder & Creative Director, JANKELE based in New York City Everything she sees inspires her Fashion sense From street-wear to sea creatures, from our earth's very own fractals to it's natural crystals and minerals, from art forms to the artists themselves, from surreal lands to the land that we embody today! The imagination is limitless when seeking inspiration. Her favorite fashion trends are Platforms, crystal embroidery, over-sized coats! in her opinion , nothing makes her a fashion gxd..stating" I just LOVE fashion and follow it my entire life! I believe that individuals set their own trends and therefore to each their own.. my current style is a reflection of my own trends set in my personal life experiences. In a world of such strong assimilation (in every sense), I am truly inspired by those who stand aside from others, and it is my belief, that I do just that. " How humble of this amazing Fashionista. What do you dolls think of Jacqueline ? Fashion Gxd Fashionista "Chanel Adams"
Our InstaFashion , Fashion Gxd is Chanel Adam's Known as The Glam Maverick from Brooklyn, New York City. Her fashion is inspired by no one in particular. Chanel likes to challenge herself when dressing up by putting pieces together that people wouldn't think can match and proving them wrong. She is in love anything Sequins. And she also love prints and mixing prints. This Glam Star is in Love Rihanna's style. She knows how and when to dress up or down, as well as combine dressing up and down. Like herself. Chanel is a Fashion GXD because she like what everybody else doesn't like. This makes her style unique and happy with a touch of Urban Classy. What are your thoughts on our Brooklyn Native? Fashion Gxd Fashionista " Winter Rose "
Winter is from Leeds, United Kingdom. Her inspiration is Disney, she loves princesses, but does like a good villain. This Tiny Fashionista and her mother , handmade, everything especially on Instagram. Winter Rose doesn't really have a celebrity style. Unless you can class a Disney princess a celebrity. Winter Rose has her own style. 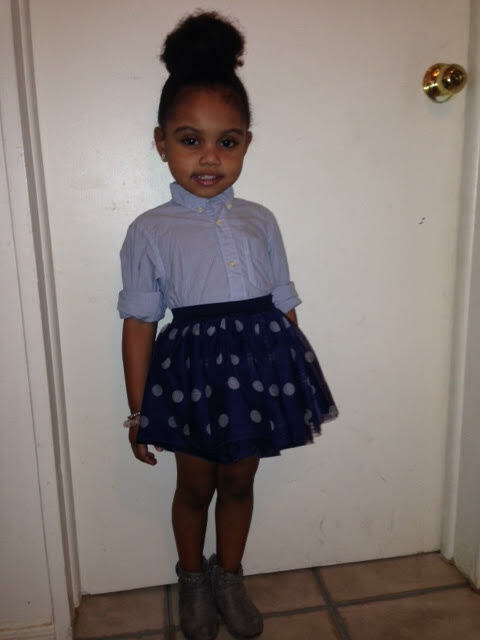 Winter Rose makes a great fashion Gxd because at 2 years old she styles herself. Everything she wears is what she chose's. 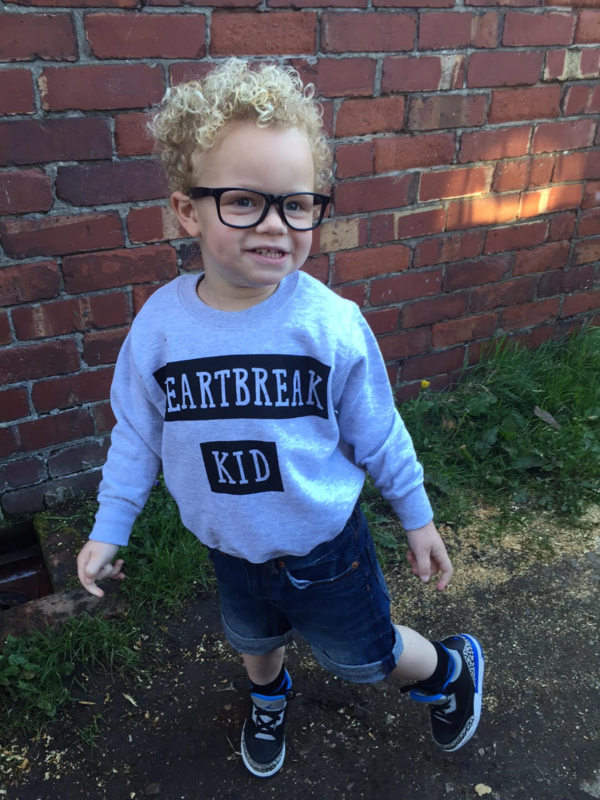 What Do you Dolls Think Of Our Tiny Fashionista From The united kingdom?